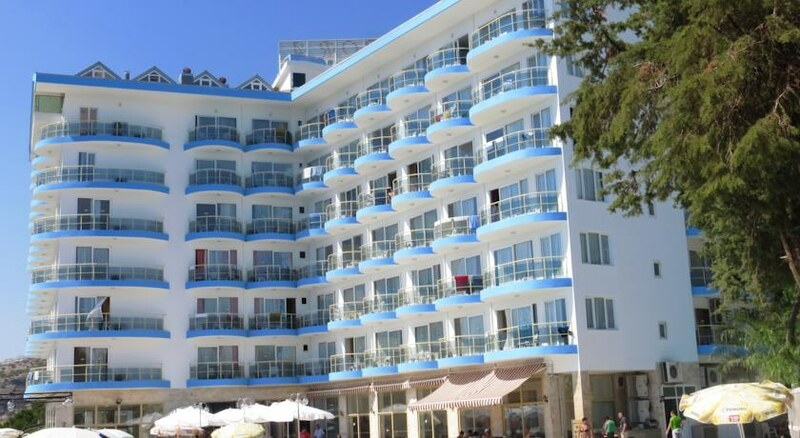 The Smartline Arora Hotel located 40 m from the seaside and 4 km from the town centre of the popular summer resort of Kusadasi on the coast of Turkey. 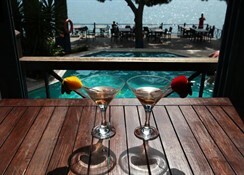 Boasting a variety of activities and an attentive staff, this superb 4 Star hotel creates a luxurious base for couples and families with 92 comfortable guestrooms equipped with modern amenities, a summer entertainment program, a refreshing swimming pool and private beach, and conference facilities. Guests to the All Inclusive Smartline Arora Hotel can discover marvellous beaches, explore the delightful villages nearby and experience real Turkish hospitality. 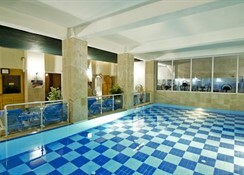 Getting to the Hotel: Adnan Menderes (Izmir) Airport is 80 km from the Smartline Arora Hotel. Local Tips: This hotel has easy access to famous city sights such as Ephesus Ancient City (18 km), Basilica of St. Jean, House of Virgin Mary (30 km), the Archeological Museum, Selcuk Town, Kusadasi and the Shopping District. Please note rates are valid for UK passport holders only. 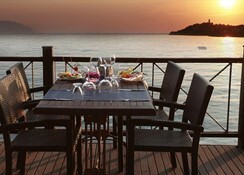 Dining: The Hotel is booked as All inclusive accommodation. 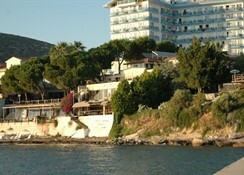 Evening entertainment during the summer season includes live music, disco music, or show programs. Activities: Outdoor swimming pool with children's section, indoor pool with children's section, Turkish bath, Sauna, massage services, fitness centre, soft animation during the day, table tennis, private sandy beach 25 m from the hotel, deck chairs, mattresses and umbrellas. Additional: 24-hour reception, Wi-Fi Internet access in the lobby, 24 hour room service, laundry services, ironing and dry cleaning service, doctor, hairdresser, mini market, wake-up service, fax and photocopy service, generator, two meeting halls that can accommodate up to 225 people, parking. 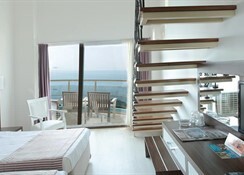 The Smartline Arora Hotel features 92 Standard Rooms (max 3 people) with land views. All rooms have bathroom facilities (shower, WC, hair dryer), air conditioning split, direct dial telephone, safe box rental, Satellite TV, mini bar, Internet cable/Wi-Fi Internet access, and a balcony or terrace.